If you are a new patient to our office, please visit our Patient Forms page to download our new patient bundle with forms that will need to be filled out when you arrive at our office. Printing them, filling them out and bringing them with you will allow us to attend to your medical needs more quickly than completing them on your arrival. For your convenience, we gladly accept Cash, Checks & most major credit cards. Payment is expected at the time services are performed. Feel free to contact our office If your treatment plan requires more comprehensive dental work and you want to discuss financial arrangements. 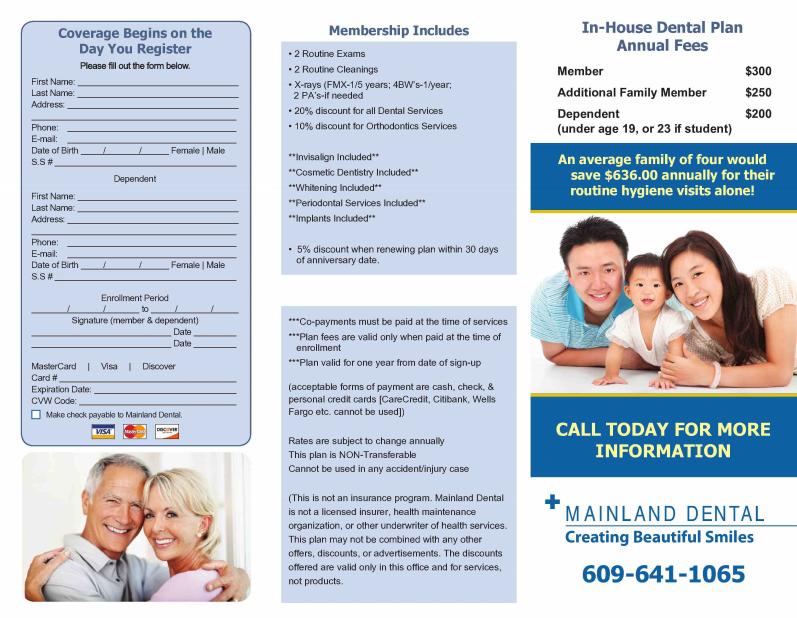 Mainland Dental also offers In House financing at 0% for qualified patients. 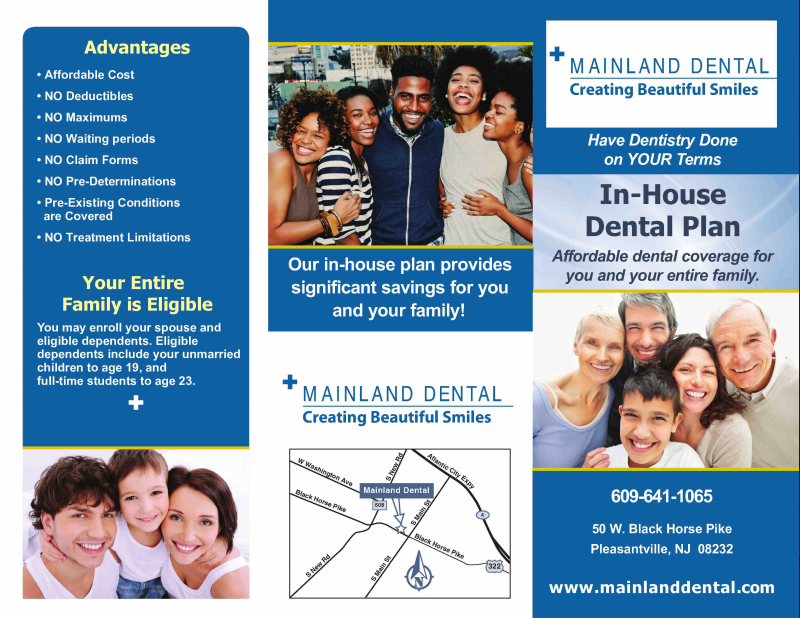 Please view our gallery of before and after photos for some of the procedures we offer at Mainland Dental. Because we are committed to improving the oral healthcare knowledge of our patients, we are providing the following selection of dental videos & Spanish dental videos which we hope you will find interesting and informative. We have grouped the videos into various categories to provide quick access to the topics of greatest interest to you.